Friends, have we got an awesome episode of our Homebrew Happy Hour podcast for you today with our special guest, Jim Miller! For those who don’t know him by name, Jim is a professional mixed martial artist currently fighting for the Ultimate Fighting Championship in their lightweight (155lb) division. Jim has fought pretty much every person who matters in the division (beating the bulk of them too!) and holds the current record for number of wins in that division. His fighting resume truly is impressive. What’s even more impressive, to us, is his passion for homebrewing. 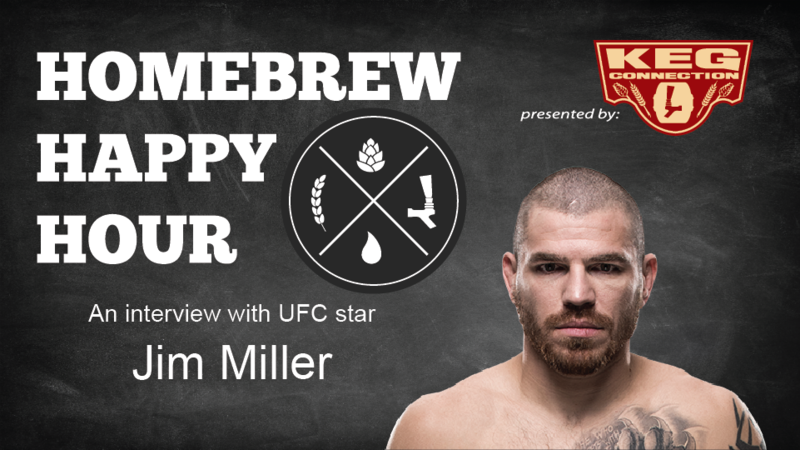 Jim’s been at it a while and in this episode we dive into his history as a homebrewer, his favorite styles to brew, his favorite styles to drink, and what the future post-UFC might look like if he took his brewing to the professional level.